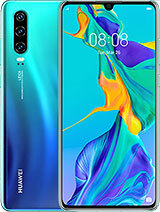 THANKS to the lovely guys here... i was thinking of buying this phone but i guess after reading ure comments i've changed my mind to a better one. I bought the phone and it had lot of problem like hanging, out of memory etc... it damaged the image of sony ericsion we can hope now ericsion is seprated so SONY will not launch such a Bad quality phone. 2) Out of Memory issue. 6) Unable to view any videos. 8) Needs to update software EVERY MONTH from service center. 9) At the end in 6 months it will be scrap. DSL2012, 19 Sep 2012Spiro is good if you are a music lover, else average phone...slow & restarts automatically... morehangs a lot and then gets dead...mine is dead for since 1 year..the phone is in good condition but doesnot start and no one has the clue why its not starting..some say may be the motherboard is dead. I have had my Spiro for 18 months. Shortly after getting it I couldn't receive or send any texts. I had to get a link from the company to upload a programme (no cables were with the phone when purchased so I had to buy these first)I lost ALL phone nos when doing this. For the last few months after sending/receiving a few texts the phone says it is "out of memory". I have to remove the battery and then wait for 10 mins before it is usable, and then repeat this action after every few texts. Initially I was pleased with the phone, but not now. I have other phone for years with no problems. what better sony mix walkman or this sony spiro? a really bad phone from sony. Complete waste of money. Poor features except for music. Frame rate while watching videos is very slow. Does not support 3d games and you-tube. Glad i sold it. Awful 'phone! If you want to send a text turn it off and back on again else you will just get a message saying Out Of Memory - even when there is plenty of memory. Oh, and it will take more than 5 minutes to reboot. SE have conned anyone that bought this phone and should be taken to court. Unfortunately I haven't got that sort of money! This is a vey bad phone ever I see. Its start to hang from first day of purchase. I had updated software more than 10 times but no change in problem. this phone has changed my opinion about sony. this phone is so worst. please gys dont buy this phone ever.... infact ignore to buy sony erecsion's phone... this company is cheater... i bought spiro and xperia both... both phone are.....in 6 months i run 6 times to service center.... but the problem is still present.. this phone is badly hanging, automaticaly switch off,and much more problems. 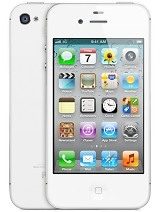 jim, 08 Sep 2012this phone is good to me because it satisfied me it has crystal clear sound has a long life ba... moredownload se theme creator on your pc. then change the phone profile to Z750. THEN YOU CAN CREATE YOUR OWN themes for your spiro. but no theme for music player.